There’s an old joke that says there are five kinds of fear: Panic, Terror, 15 Missed Calls from Mom, User or Password Incorrect and WE NEED TO TALK. We need to talk; it’s one short sentence that can make you remember every questionable thing you’ve ever done in your life. But all joking aside, we do need to talk. Communication may be the most important subtext in the successful operation of any school district. In the fifteen years I’ve served as a superintendent, the most consistent feedback I’ve received has been to improve the communication practices of our organization. I can also say it has been the most consistently challenging aspect of my job; a job that has been made inherently more difficult by the advent and popularity of digital communication and social media. While digital forms of communication have certainly increased our capacity to communicate, they have created a whole new spectrum of challenges as well. What used to be three or four well-recognized channels of communication has now become a broad mosaic of options. Inherently, these digital forms of communication have begun to blur two distinctly different concepts: information and communication. As Sydney Harris noted, the words ‘information’ and ‘communication’ are often used interchangeably, but they signify quite different things. Information is giving out; communication is getting through. In simple terms, information tends to be one-way and communication tends to be two-way. For school districts, finding ways to engage in large scale two-way communication has always been an enormous challenge. Face-to-face meetings and phone calls have always been the bread and butter of our two-way communication strategies, and I personally hope they will remain as our core strategy. We will always “need to talk”, but we also recognize that we now live in a different era and including digital strategies for two-way communication is critical to our overall communication plan. Like most districts, we have experimented with the use of social media, such as Facebook and Twitter. These platforms pose several challenges. First, they are great at providing you with information, but not very good at two-way communication. Second, it’s hard to decide which one we should use. Choosing the right platform to fit the needs of every user is next to impossible, and managing multiple platforms requires a level of staffing and knowledge small districts like ours just don’t have. Lastly, and most importantly, many of these platforms ultimately serve to cloud the communication process rather than clarify it. George Bernard Shaw said, “The single biggest problem in communication is the illusion that it has taken place.” It might seem like posting a comment on Facebook or Instagram is communication, but it’s not. At best, it’s information posing as communication. At its worst, it’s misinformation, sophistry, or diversion. Collectively, all of these issues result in a digital communication environment for school districts that give the illusion of communication, but one that I believe ultimately sows seeds of frustration on both sides of the communication equation. The partnership between a school district and its parents/guardians may best be described as a relationship with a shared vision, and relationships succeed when obstacles are met with communication and a pathway to resolution. A major weakness of our current digital communication platforms is the absence of a pathway to resolution. To that end, SCSD 1 is making a significant change in the way we communicate digitally to specifically include a pathway to resolution. In the near future, you will begin to see the addition of sidebars and a landing page on our website that will allow you to communicate directly with district staff regarding your questions, comments, suggestions, concerns or compliments. Here are a few important things to know about this change in communication strategy by SCSD 1. Candidly, the landscape of digital communication and social media has become just too expansive for us to manage with any type of effectiveness. We receive and respond to communication on multiple platforms. This has resulted in a slowly eroding ability to be effective and efficient in our communications with you, and we recognize this. Will we still respond to calls, emails, and texts to provide information? Absolutely. Will we still use Facebook to celebrate the great things that are going on at SCSD 1 and keep you up to date on events? Yes, we will continue to share information in that way. But in terms of communicating with us, we will ask you to use our new platform, appropriately named “Let’s Talk!“. We recognize this will be a big change for many of you, but we think the features provided by this platform will make the change worth the effort. Let’s Talk! makes it easy to be involved in your student’s education when your schedule allows. Now, you can send your comments, questions, concerns and compliments directly to district leaders 24 hours a day, 7 days a week from any computer, tablet, or smartphone. The platform is organized by interest area and your communication is directed to the SCSD 1 staff responsible for each interest area ensuring your communication gets to the right person the first time. Tell us what’s on your mind and, in return, we’ll send you a personal response. When you contact us through the Let’s Talk! platform, we start a clock on the response time, literally. We will be measuring how long it takes us to respond. We’ll also send you a survey to let us know how helpful you found our support. The Let’s Talk! platform asks users to include their name, email and telephone number so we can personally respond to their communication. We do understand that there are times when you want or need to communicate anonymously and you will have the option to do that. It’s important to note, however, that while we will receive the anonymous communication, without the contact information, it may limit our ability to provide to you with a personal response. We’ve all been there at some point. That “he said, she said” moment. Sorting through a messy, broken email or text chain. That’s why we think these formats don’t work well work for stakeholder engagement at scale. Let’s Talk! eliminates gaps in communication by ensuring that all feedback and responses from both parties are stored in one place, on secure servers. All messages, or dialogues, are automatically routed to the right team members in our district to ensure the most accurate response in the least amount of time, as well as being preserved and easily accessed for future reference. I think it’s important to note that our top priority will always be resolving critical issues in person. But we believe that the Let’s Talk! platform will allow us to more quickly identify which issues would benefit from a face-to-face meeting as well as identifying issues that are trending across our district and may require communication on a large scale. We hope to have the Let’s Talk! platform in place in a few weeks. A screenshot of the Let’s Talk! tab is below. If you have questions about Let’s Talk! or the district’s overall communication plan, don’t hesitate to contact me at jharnack@sub1.org. Unless you’ve been buried under snow, which is a distinct possibility these days, it’s hard to miss the ongoing debate about education funding in Wyoming. The legislative session is in full swing and the topic that’s center stage is the current economic downturn and the resulting shortfall in funding. At the heart of this debate are your fundamental rights as a citizen of Wyoming, or in this case, the fundamental rights of your children. A fundamental right is one that has been recognized as having a high degree of protection from government encroachment, one deemed to be so important, the constitutional framers, either federal or state, declared them in writing. In the U.S. Constitution, it’s called the Bill of Rights. In the Wyoming Constitution, our fundamental rights are outlined in Article I within the Declaration of Rights. Just above your right to bear arms is Section 23: Education. The framers of the Wyoming Constitution believed that education deserved the same protections as your right to due process, a trial by jury, and of course, your right to bear arms. And a good many of us agree. Act 1: The Legislature was directed to define a “basket of goods” every Wyoming child should receive. Act 2: The Legislature was directed to undertake cost of education studies to determine the actual cost of providing this basket for all students. Act 3: The Legislature was directed to fund the basket. But as Hamlet said: Ay, there’s the rub. Over the last few years, Wyoming has seen a reduction in the energy-related revenues that fund education. This is what appears to be driving our current legislature’s desire to reduce education funding. That seems reasonable, right? This amendment is designed to strip the children of Wyoming of the fundamental right to an adequate and equitable education. If passed, K-12 education funding will become a discretionary decision by the Wyoming legislature. It also states that defining a quality education falls solely to legislators. Children, and those who serve them, could no longer use the court system to challenge their decisions. However strong our desire to balance the budget, it does not justify the removal of a fundamental right. Would we limit free speech to balance the budget? Freedom of religion? We most certainly wouldn’t. Stripping children of their fundamental right to an equitable education as a means to address a financial crisis is contrary to everything for which the Equality State stands for. SJ9 is irresponsible, unethical political maneuvering that will eliminate checks and balances and change education in Wyoming forever. Yet we must address our shortfall. House Bill 0236, the Omnibus bill on education, calls for creating a Joint Select Committee on Education Funding, including an advisory committee composed of a cross-section of Wyoming people, to work together and identify solutions. Now this is a reasonable idea. Will education continue to be a fundamental right of the children of Wyoming? For now, that’s in the hands of our legislators, and when needed, the Wyoming Supreme Court; as it should be. Should the legislature pass SJ9, it will soon be in the hands of voters. Unfortunately, the group that has the most to lose doesn’t get a say. They entrust us to speak and act for them. It took the Wyoming Supreme Court and three important acts to ensure every child in Wyoming had access to their fundamental right to an adequate and equitable education. Should we fail to protect that right, it would be Wyoming tragedy, in one awful act. Things are moving very quickly in the legislature now. Bills will be voted on over the next few weeks. If you and your family value public education in Wyoming, please contact your Represntative today, before it’s too late, and ask them to vote NO on SJ9. For those of you who follow my blog in some way (thanks Mom), you may have noticed that I haven’t posted for a while. The truth is, I’ve been really busy. But busy or not, I think its time to address an issue that’s having a major impact on school district’s around the nation. It’s certainly had a negative impact at Sublette County School District 1 (SCSD 1) over the last five years and it appears as if the impact will not only continue, it will increase. The topic, school funding…or more precisely the reduction of school funding. Before you roll your eyes, scoff, or hit the back button, please know that the purpose of this post is not to weigh in on the virtue or necessity of these reductions (or lack thereof depending on your perspective). I know you’re probably overexposed on that issue and it’s a different discussion for a different time. The purpose of this post is to address the REALITY of these reductions and this post is meant primarily for the stakeholders of Sublette County School District #1. As you may know, in many of my posts I try to find a way to connect what I want to say with a scientific theory, a scene from a movie, or some bit of pop culture. My purpose in doing so is to try and find ways to make potentially complex educational and political issues more relevant to my readers who may not be educators. In this case, there isn’t anything overly complicated about this issue, nor am I trying to connect a humorous analogy associated with this topic and the 90’s movie Reality Bites. It’s just that as a result of the past, current, and probable future funding reductions to our school district, the educational outlook for our students, staff, and parents…for lack of a better term…BITES. OUR PAST REALITY: In 2013-2014, our school district eliminated 10.5 full-time positions including 4.0 central office staff, 5.5 teaching positions, and 1.0 district-wide instructional support positions as well as $344,000 in non-personnel costs. While we did lose some programs along the way, our Board of Trustees and Director of Business and Finance Vern McAdams worked hard to utilize a broad scale approach to budget reduction. They prioritized the reduction of central office and district-wide support staff to limit the impact to the classroom. When the reduction of classroom staff was necessary, we utilized attrition to save jobs for existing staff. Additionally, a cost of living increase to district salary schedules had only occurred once in the last six years. OUR PRESENT REALITY: As I think EVERYONE in Sublette County knows, the downturn in the coal, oil and natural gas sectors is impacting budgets across the state of Wyoming, including education. As a result, the current funding reduction plan for education is resulting in more cuts for SCSD 1. Next year (2016-2017 school year) an additional 1.5 central office and student support positions will be eliminated as well as $507,000 in non-personnel costs, and once again there will be no cost of living increase to salary schedules. In all reality, the additional cuts for next year aren’t nearly as significant in comparison to what other districts around the state are facing, e.g. our neighbors to the South, and that’s probably due in part to the cuts we made in 2013-2014 and the fact that our enrollment hasn’t dropped significantly. I’m sure many of you may be thinking it’s about time school’s “trimmed the fat”, and you may be right. Throughout this process, we have certainly sought ways to become more efficient, and I believe we have. But the truth of the matter is that when we start the 2016-2017 school year, we will have 12 fewer staff members to support our students and teachers, and without private funding from local businesses like QEP and support from Sublette BOCES, that number could easily be 15, 18 or possibly more. While budget reductions are often associated with reductions in student enrollment, to date that has not been the case in our district, so our staff members are doing more… often much more, with less. In addition, our local funding partners are also experiencing revenue reductions, so we can’t assume that assistance will always be in place. As a parent in our school district, here’s why that should concern you. John Hattie is one of the worlds leading researchers on educational practice. He has written several books that clearly delineate what works to raise student achievement and what doesn’t, even providing the relative impact (effect size) of each of these practices. The coalitions referenced by Hattie are the district-wide systems that: 1) provide teachers with the supports to continuously improve their practice, and 2) assume management functions that allow building principals to focus on instructional leadership. Hattie’s research indicates these components are critical functions for improving student achievement, yet the staff associated with these functions tend to be among the first reductions districts make. As a result, districts are continually faced with a choice between retaining the person most critical to improving student achievement (the teacher), and the district-wide supports that improve teacher quality. Catch-22, Morton’s Fork,…call it what you like, but districts are increasingly faced with budget reduction choices that will ultimately reduce our ability to move the needle on student achievement. I would like to be able to tell you this is where the bad news ends…but I can’t. OUR FUTURE: Earlier this month, SCSD 1 Director of Business and Finance Vern McAdams updated our Board Finance Committee with some projections for the 2017-2018 budget. There are a lot of moving parts to this kind of projection that won’t be determined for some time so the range is quite large, but we believe that we may be required to further reduce our general fund budget for the 2017-2018 school year by $250,000-$750,000, and perhaps even more, especially if our district experiences the kind of enrollment decreases that are being witnessed by some other districts in Wyoming. Given the magnitude of these projections, we need to come to grips with our REALITY. The fat has been trimmed from our budget and the next round of budget reductions will most certainly take meat off the bone. What does that mean? I think its important that you know. It will certainly result in a diminished capacity to provide the coalitions Hattie describes as necessary to improve our schools. It could mean larger class sizes, the loss of student services, and the elimination of programs and/or activities. We spend approximately $225,000 more on student activities each year than the funding model provides. Why? We offer more sports than any school of our size in the state and the model barely funds our coaching salaries, let alone travel. That’s $225,000 each year that doesn’t make it into our classrooms. Fancy a discussion about which sports or activities will be eliminated in order to keep a classroom teacher? That could be in our future. Our high school has more “specialist” teachers than the model provides. Why? We feel it’s critical to provide our students with a well-rounded educational experience. Anyone up for deciding if Art, Band, Choir, Ag, Industrial Technology or Physical Education should be eliminated from the high school curriculum? Those courses are taught by “specialist” teachers. The prospect of making that kind of difficult choice certainly BITES. That too could be in our future. And that’s just a sampling of the tough decisions our district will face in the coming months. If your feeling a little frustrated at this point, you’re not alone. Our school district is part of coalition that is actively advocating for a legislative solution that would reinstate the cuts to education funding, but the REALITY is that we cannot predict the outcome of those efforts, so we must plan for the reductions. With that in mind, I would like to ask you for your help. As our students return to school next September, SCSD 1 will begin two important processes. The first is centered around the potential budget reductions that we face. Based on the significant impact the budget reductions could have, we plan on expanding our typical budgeting process to significantly involve you, the stakeholder. It is highly likely that the budget decisions will involve difficult choices and we will need your input to help us establish priorities for what appears to be inevitable programming and staffing reductions. The second is our strategic planning process. Every four years or so, we undertake a broad scale strategic planning initiative to establish our goals and priorities for the future. Once again, we will need your input on determining these outcomes, especially in light of our diminishing resources. I keep a bulletin board in my office covered with motivational quotes. One of them says “There are two primary choices in life; to accept conditions as they exist, or accept the responsibility for changing them.” That sign reminds me to quit complaining about something and take responsibility for making it better. But I’ve come to realize that I might have to change the “or” in my sign to an “and” on occasion. Sometimes, part of taking responsibility for making something better might include accepting the conditions as they exist…even when I think that BITES. (1) Hattie, J. (2015). 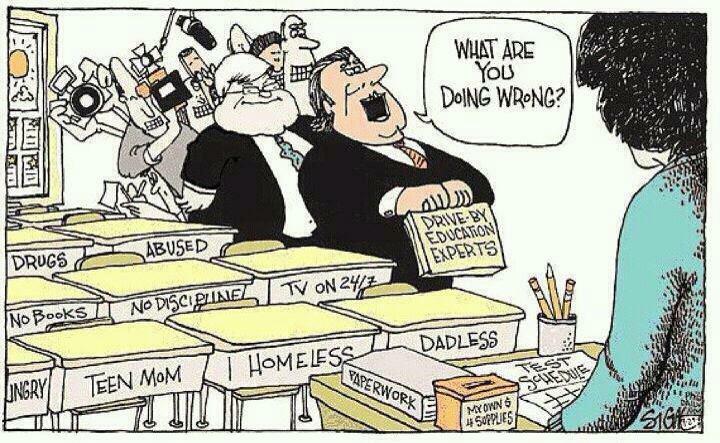 What doesn’t work in education: The politics of distraction. London, England: Pearson. (2) Hattie, J. (2015). What works best in education: The politics of collaborative expertise. London, England: Pearson. If you’re a fan of 80’s comedies like I am, you count Naked Gun as one of the classics. The “Nothing to See Here” scene in this film is one of my favorites. Police Lt. Frank Drebin arrives on the scene of an exploding fireworks factory (where there is plenty to see) and emphatically states, “Move on, nothing to see here, please disperse!” As a movie character, its Drebin’s propensity to miss the obvious that makes him funny. Well folks, there are a lot of fireworks going off in terms of student performance in Wyoming, and I sincerely hope that we aren’t about to have Drebin moment. After the Wyoming Supreme Court cases on education funding significantly increased the funding level for all school districts, the expectation from legislators and the media was that student performance would rapidly increase. It didn’t, and during this time it was quite common to hear concerns from legislators and the media that Wyoming was not getting a good “bang for the buck” when it comes to education. And in truth, we weren’t. But like all good investments, the return on the investment is rarely immediate. Wyoming educators of all description have asked for patience, noting that change takes time. As a superintendent, I can speak personally to the fact that change in education does take time. This is an industry that deals with human performance factors, and changing the factors that positively influence teaching and learning requires a lot of professional development, as well as changes in practice and behaviors; endeavors that are certainly time intensive. But fireworks are beginning to go off. A press release from the Wyoming Education Association noted that Senators Coe and Wasserburger, along with Representatives Northrup and Connolly, returned from the Council of State Governments-West (CSG West), and shared some positive numbers regarding education in Wyoming, that were presented to them in late July. Senator Coe and Representative Northrup are the co-chairs for the Education Committee. Dr. Julian Vasquez Heilig, Professor of Education leadership and Policy Studies at the California Sacramento State University presented numbers to the CSG-West showing Wyoming leading the Western states in NAEP/TIMSS Science scores and sixth in the world. Wyoming’s NAEP/TIMMS Math scores also ranked first in the Western states and eighth in the world. The statistical calculations by the National Center for Educational Statistics also show that Wyoming is statistically tied for number two in the world in Science, behind Finland. Unlike our state-wide student assessments, the NAEP/TIMMS test is a stable, nationally recognized assessment, given world-wide. Unlike our current state-wide student assessment, it can be used to make comparisons between the performance of Wyoming students and students in other states and countries. The gains made by Wyoming schools the past few years, particularly in Math and Science, are no joke. Second in the world in Science! Sixth in the world in Math! These results represent a lot of hard work by educators all across Wyoming, and I can only wonder if the same degree of effort will be made by our legislators and newspapers in acknowledging our successes, as was exerted in noting the lack of progress. There are some significant fireworks to see here, and I genuinely hope that, collectively, we don’t seek to temper the good news. That being said, there’s a broader point to be made. As an educator, I’ve been keen to point out that test results are merely a snapshot in time, and the success of students should not be based solely on these kinds of tests. It was all too easy for our critics to point to selected test scores and say that Wyoming education was failing. It would be just as easy for the K-12 education community to note these high scores and take our foot off the gas. Neither success, nor failure, are permanent states of being in education, and an over-reaction to either is detrimental to continuous improvement. These scores are great news. They are fireworks. They are definitely something to see, and we should celebrate them. They are not however, arrival at our destination, or the finale. They are a way point on the road to continued success, just as failure is a different kind of way point on the same road. We still have a lot of work to do, but when educators, legislators, and members of the media all begin to place both failure and success within the context of process, rather than product, I believe we will ignite even greater student achievement growth in Wyoming. “Ello, I wish to register a complaint.” So starts Monty Python’s famous Dead Parrot skit. For fans of the Flying Circus, it’s a quintessential piece of British humor. For those with an eye for analogy, it’s also a burning effigy of the current state of affairs for education accountability in America. Often cited as the classic example of Scesis Onomaton, the best parts of the skit center around Mr. Praline’s attempts to convince the shopkeeper that he sold him a dead parrot; stating multiple times, and in multiple ways, that the bird is definitely…an “EX-PARROT”. Despite some really funny evidence to the contrary, the shopkeeper repeatedly refuses to admit that there’s anything wrong with the parrot. For the better part of a decade, educators in public schools have been engaged in a scesis of our own; stating multiple times, and in multiple ways, that the populist movement to implement a high-stakes, test-based accountability model was a dead parrot. And like Mr. Praline’s shopkeeper, policy makers have ignored a growing body of evidence that shows the current accountability model is driving the best and brightest away from of our industry, has narrowed the curriculum, lowered student aspiration, and does nothing to improve student performance. There’s nothing funny about that. Not to diminish the work of a great researcher like Mr. Tucker, but ‘Ello…school districts have been dealing with these issues for some time. Teachers are leaving the industry in droves. The reasons? There are many, but stress levels for one. And two, they now describe what used to be some of the most rewarding work on the planet as akin to punching rivets on an assembly line. Not only are they leaving, they’re not coming in the first place. Tucker states that “Test-based accountability and teacher evaluation systems do not simply fail to improve student performance. Their pernicious effect is to create an environment that could not be better calculated to drive the best practitioners out of teaching and to prevent the most promising young people from entering it.” As the British like to say, Mr. Tucker is spot on. The number and quality of candidates our school district is seeing for most positions has decreased significantly over time, and as Tucker noted, fewer high school students see teaching as a career choice. Why? They just spent the better part of their adolescence with teachers, watching them work. Our students have a firsthand view of what teaching has become under the currently accountability system, and they don’t want any part of it. Add to that a student population that sees little value in the vast majority of accountability tests and therefore no interest in preparing for them, very little time for teachers to collaborate and perfect their craft, insufficient interest from teachers in leadership positions, and high turnover rates for principals and superintendents, and you get a system that’s become far more proficient at leaching the motivation, creativity and resilience from our students and educators than it ever was at improving student performance. Famed management guru Peter Drucker is attributed with the quote “Culture eats strategy for breakfast”. As Tucker has pointed out, the negative culture created by our current accountability system is eating every strategy we throw at improving student performance for breakfast, second breakfast, elevenses, and luncheon. We can nail this dead parrot of an accountability system to the perch a thousand times, but until we focus on changing the culture that currently exists in public education in the United States, student performance isn’t going to “voom” if we put four million volts (or four billion dollars) through it. The Dead Parrot skit, and coincidently this post, both start with the statement, “Ello, I wish to register a complaint.” I think everyone who has a child in a public school has a complaint to register about the national accountability system, and to date, no one has more clearly articulated that complaint than Mark Tucker…and no one has provided a better starting point for a solution. I hope you will add your voice to increasing the scesis on changing accountability in public schools. P.S – If you don’t agree with the connected series of statements I’ve issued in this post intended to establish my proposition, you may wish to visit the clinic. If you’d prefer to simply contradict me, that’s fine. P.S.S – My apologies for mixing my Monty Python and Tolkien metaphors. Their both British. That’s close enough…right? Tucker, M. S. (2014) Fixing Our National Accountability System. The National Center on Education and the Economy. The Butterfly Effect is a term used for a small change in a sensitive system, that eventually results in large differences in the system at a later date. It’s the notion that a butterfly flapping its wings in Tokyo can cause a hurricane in the Bahamas. It’s part of a larger mathematical concept called Chaos Theory, and it’s a concept educators know a little something about. Most people would like to believe that public education is a deterministic system. A system that is cause and effect, one in which the outcomes can be predicted from the inputs. They believe improving student achievement is as simple as do this, fix that. But I can tell you from first hand experience, that life for educators, and in particular teachers, is not that simple. Currently, for Wyoming educators, it’s chaos. And it’s far beyond a theory at this point. It’s a reality. Earlier this week, the Wyoming Supreme Court struck down SF 104. I know a lot of you will want to insert your own political views at this point, but for the purposes of this discussion, let’s set those aside and look at this in terms of Chaos Theory. My stake in this isn’t the court’s decision; the only horse I have in this race is the inevitable Butterfly Effect, and it’s likely to be considerable. Although the issues related to SF 104 have garnered a lot of attention, the truth is that the current educational weather pattern isn’t the result of seeing the occasional butterfly, flutterby, it’s more like a monarch migration. Research has shown that the leadership of school boards matters in improving student achievement. School board elections occur every two years, and with them changing agendas, expectations, and beliefs about how the district should operate (FLAP). Research has shown that district level leadership and the length of superintendent tenure is important in improving student achievement. Yet the average tenure for superintendent’s tends to be about three years (FLAP, FLAP). Research has shown that principal turnover adversely impacts schools, yet the average tenure for a principal is between three and four years (FLAP, FLAP, FLAP). I wasn’t a math major, but it doesn’t take an overly analytical mind to notice that school boards tend to change every two years, superintendents every three, and principals every four (FLAP, FLAP, FLAP, FLAP). Now consider the constant change associated with the types of topics that are dominating the educational climate such as education funding, high-stakes testing, accountability models, educator evaluation systems, increasing security threats, and the constant flutter from the adoption of the Common Core State Standards… (FLAP, FLAP, FLAP, FLAP, FLAP, FLAP, FLAP, FLAP, FLAP, FLAP, FLAP). I guess you get my point; our teacher’s wouldn’t bat an eye at Hurricane Katrina. It’s the daily forecast. For whatever reason, I’m drawn to severe weather, and I like to watch the Weather Channel when a big hurricane hits somewhere. They always have that one poor reporter standing out in the middle of it all, showing how they can barely stand up to the elements. If you think that’s what it’s like to be in education these days, you’re wrong. Look over the reporter’s shoulder, at the nut job surfing the storm surge, reveling in the chaos, refusing the disaster and creating art from it, then you’re beginning to get a sense of what it takes to be teacher these days. So as our legislators continue to sort out who’s going to run the Wyoming Department of Education, please remember that the butterflies flapping in Cheyenne often end up creating quite a storm in our little corner of the world. If you happen to come across one of our fine educators in the near future, and they look like they’ve been caught in a hurricane, don’t hesitate to offer them a flotation device of some sort. They might just need it. Careful dear citizens if you decide to dip your toe into the turbulent pool that is the 24 hours news cycle. It’s ugly out there. The federal government is shut down. Congress appears historically dysfunctional. And the national debt is pinned against the ceiling. Wyoming isn’t exactly a wellspring of good news either. The running gun battle between State Superintendent Cindy Hill and various members of the Wyoming legislature has resulted in a hailstorm of reports and subpoenas. And op-ed pieces in the Casper and Cheyenne papers continue to condemn the state of education in Wyoming. Given all of the depressing news and Justin Bieber stories (wait…are those different things?) that seem to be darkening our televisions, mobile devices and radios, I thought you might like something, in the immortal words of Monty Python’s Flying Circus, completely different. 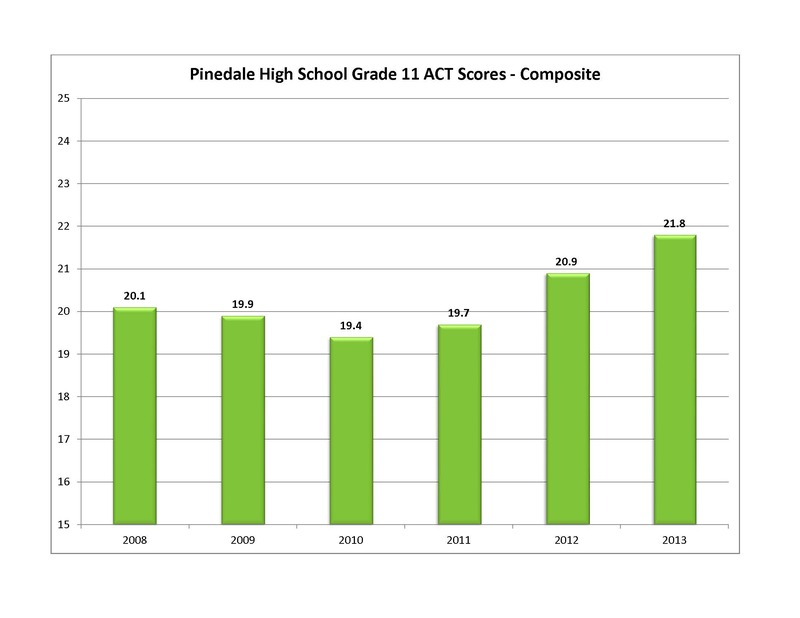 Pinedale High School ACT scores have been on the rise for the last three years. Our district ranked 24th in the state in 2010, but our ACT scores are now second in the state. And that’s no accident. The teachers and students at PHS have been working extremely hard to make that happen. Congrats to all! Our teachers continue to do an amazing job of ensuring their students each year. 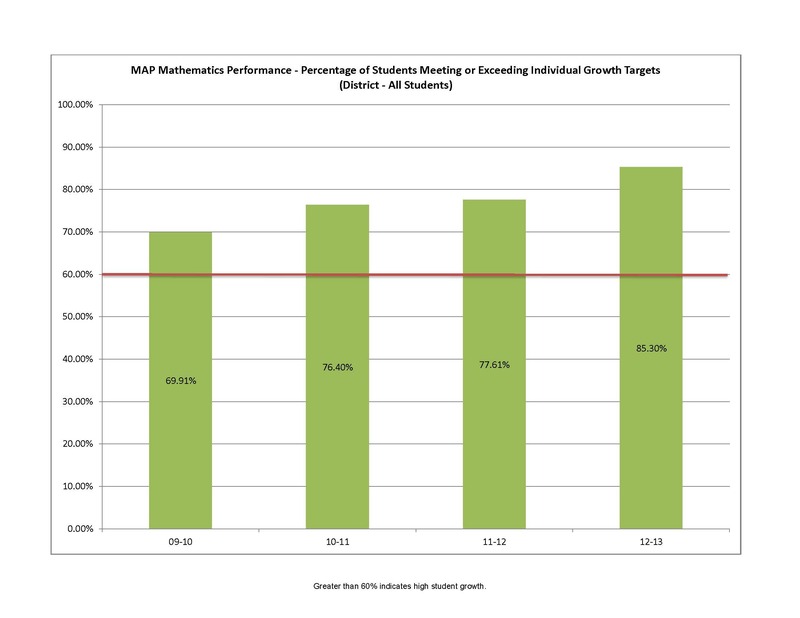 We use a test called the Measures of Academic Progress (MAP) to measure annual student growth. The makers of the test state that teachers who have 60% of their students meet or exceed their yearly growth target have a “high growth” classroom. Take a minute to look at the chart on the left and you will see what kind of annual growth results our teachers are getting. In a matter of two short years, SCSD #1 has gone from a district with minimal technology in the classroom, to one of the most technologically advanced schools districts in Wyoming. 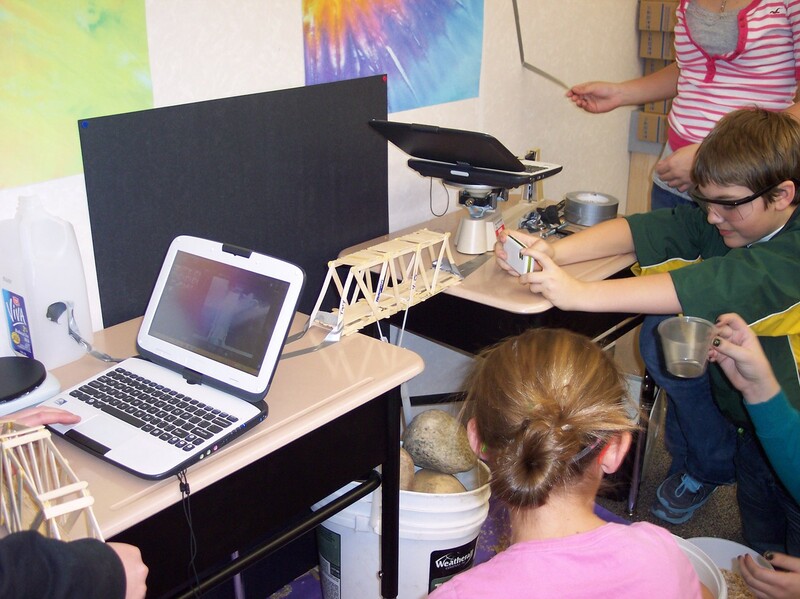 Every student in grades 3-12 is issued a mobile device by the district, and students in grades K-2 have access to computer labs and iPads. Our students are now putting this technology to use in the classroom and enhancing their 21st Century skills on a regular basis. And our cloud computing solution means that we have the ability to extend learning to students beyond the classroom, at home and elsewhere. SCSD #1 has committed to modeling environmental responsibility for our students. In 2012, we partnered with Encana and Pinedale Natural Gas to open the first public/private compressed natural gas (CNG) fueling station in Wyoming, and we began the process of converting our bus fleet to CNG. The district now has four CNG buses, and we will continue to transition more of our fleet to CNG each year; and local businesses and government agencies can fuel their vehicles at the public station. In June of 2013, Governor Matt Mead attended the grand opening of the station and filled his vehicle with CNG to help us celebrate this accomplishment. 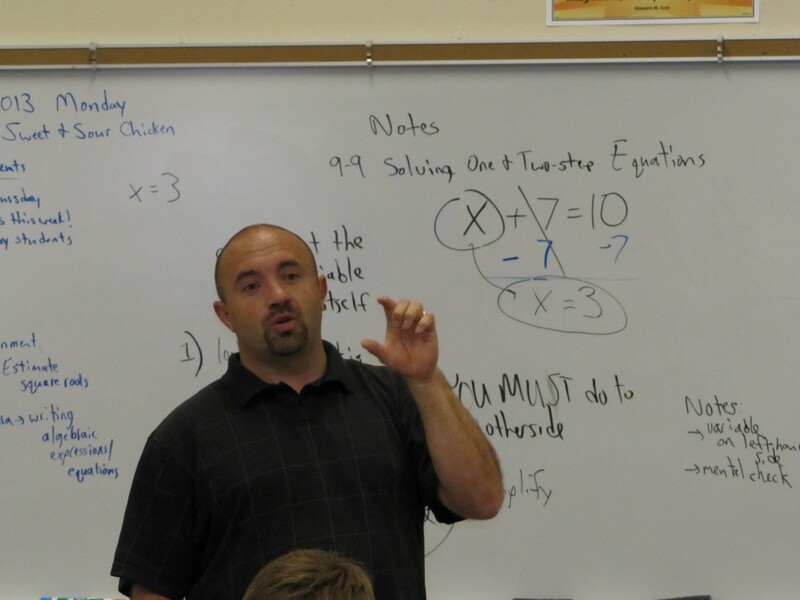 Pinedale Middle School teacher Dr. Steven Miller is one of three finalists for the Wyoming teacher of the year. I don’t think anybody that knows Dr. Miller is surprised by this. While finalizing his doctoral degree last year, Steve also led our middle school Math Counts team to a state championship. Then he started working with PMS special education teacher Gabe Griffin on an online intervention program for students that are struggling with math. 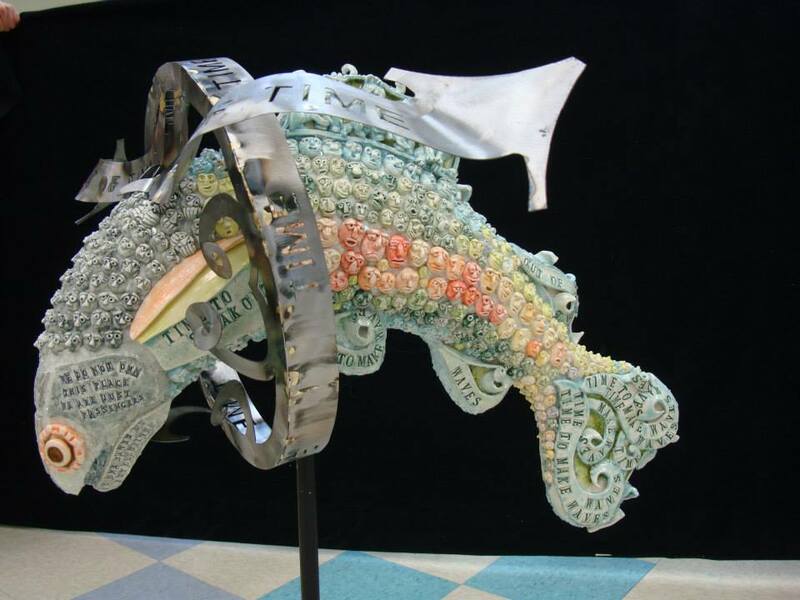 Last April, our high school art students and PHS art teacher Diane McLean continued a decade of visual arts dominance by winning the statewide “Traveling Trout” Art competition. The last statewide competition of this type, which was held five years ago, was also won by Mrs. McLean and her classes when bears were the centerpiece animal. The trout will be on display around the state before coming home to PHS. The winning bear sculpture, “On Thin Ice” can be seen in the auditorium lobby. In order to be blog brief, I’ll stop here. In doing so I’ve left out a great many accomplishments by our hard-working students and staff, and for that I’ll apologize in advance. But take heart Pinedale, and maybe turn off the news feed for a few days. The next generation of leaders is doing some great things right here in your own public school system. Stop in and visit a classroom. Or come to a sporting event, band concert, or a play. Just take a minute to get to see what’s going on at SCSD #1. We believe you’ll feel good about your tax dollars at work. You might even have your faith in government renewed. Just kidding about the government part. I’m realistic. A few weeks ago, the Wyoming Department of Education released the 2011-2012 graduations rates for the state and its individual districts. The state average was down 0.85% to 78.9%. Two years ago, I wrote a blog describing how absurd the federal government calculates graduation rates. I’m not going to say it’s laughable, but Will Rogers famous quote “I don’t make jokes. I just watch the government and report the facts” certainly comes to mind. To make a long story short, thousands of school personnel nationwide have been become responsible for tracking and documenting the movements and educational choices of our students. Many of these people don’t care to be tracked and make our job exceptionally difficult. Based on Glen Beck’s reaction to the Common Core State Standards, he’d probably have a stroke if knew the kind of data they expect us to glean from people no longer living in our school district (or Wyoming, or United States for that matter). Life happens people. Our students experience accidents, illness, and family issues among other stressors in their lives. And some of you would faint if you knew how many of our kids are working 20 plus hours a week on top of school and extracurricular activities (many as significant contributors to the family income). It would be nice if every student came to school every day completely prepared to learn. But they don’t. And for many of our students, the reasons they don’t are beyond their control (and ours for that matter). So why does it matter if it takes them longer than four years to graduate? I think the folks making these laws need to ask themselves this question? Did I graduate college in four years? If not, did it matter? I think not. I don’t see a lot of employers asking prospective job candidates if they got their diploma in four years. Either you got it, or you didn’t. You’re still a college graduate either way. Why should high school be any different. Over the last three years, the graduation rate at Pinedale High School has increased to 91.03%. We’re proud of that fact; and it represents a lot of hard work by our students, parents, faculty, and staff. But that statistic leaves out some pretty significant accomplishments by some really great kids that occurred at our alternative setting this year. The whole thing kind of reminds me of an old joke. What you call the guy who graduated last in his class at med school….Doctor. The powers that be should be more concerned with how many of our students actually cross the finish line rather than what place they’re in. Congratulations to all of our 2012-2013 graduates and their families. No matter how the government classifies you, we’re proud of you. Tinker vs. Des Moines was a landmark legal case heard by the U.S. Supreme Court that established the rights of students. In essence, the case established the fact that students do not “abandon their rights at the school-house door”. The fact of the matter is that students don’t abandon a lot of things at the school-house door. They don’t abandon addiction and abuse. They don’t abandon cognitive delays and language barriers. They don’t abandon homelessness and hunger. During the Senate Education Committee on HB0091 and HB0072, Sen. Chris Rothfuss proposed an amendment that would establish a pilot project for one district to use a 360 degree evaluation as a part of the accountability process. Taking a nod from the business world, 360 degree feedback systems have become popular in education and are a good way of using multi-source feedback to improve performance. We require all of our administrators to conduct a 360 degree assessment and are considering one for use by our board of trustees. I commend Sen. Rothfuss for his thinking. From my perspective, it could be another “club in our bag”, in terms of improvement. But as a member of the Senate Education Committee, I would also challenge Sen. Rothfuss and all Wyoming legislators to extend their thinking beyond just monitoring student performance when it comes to using a 360 degree approach. A well established body of research shows that outside of school factors must be addressed if policy makers wish to truly improve educational performance. The importance of these outside-school factors should also caution against policies that simplistically attribute student test scores to teachers. The landmark study that started the “school effects” debate was the Coleman Study. With over 650,000 students in the sample and resulting in over 700 pages, it was one of the largest studies ever conducted at that time. Entitled “Equality of Educational Opportunity”, it evaluated how a student’s background and socioeconomic factors affect their performance. It’s a debate that continues to this day, but it doesn’t seem to be a part of the debate in Wyoming (or anywhere else for that matter outside of research papers). If 360 degree evaluations are good for businesses and schools, why wouldn’t they be good for educational accountability as a whole? Why wouldn’t our legislators want to track the “outside-of-school” factors that research has shown to affect student performance as much or more than things like teacher quality; factors like poverty, access to health care, malnutrition, truancy rates, and high-speed internet access? Factors our legislators could influence with policy, just as they are doing with education. Make no mistake, I’m not trying to divert the accountability discussion, just broaden it. School districts in Wyoming need to name our challenges and own them. We need to take responsibility for every student that walks through our doors. State-wide, there’s an army of people working on that issue. But the reality is that we don’t own some of the biggest challenges we face. To ignore this fact, fails to incorporate the basic tenets of multi-source feedback for performance improvement. Our district uses a balanced scorecard to monitor quality indicators for our district. These quality indicators are aligned to our strategic plan. It’s a common practice as a part of good strategic planning. These quality indicators include more than just student performance measures, as we know that there’s more to a providing a quality education than high stakes test results. We measure a broad range of factors that include everything from the percentage of network uptime to a self-evaluation process for our board of trustees. I don’t see any reason our legislators can’t begin to monitor the full spectrum of factors that affect student performance, including the out-of-school factors, and take policy steps to positively affect these factors too. I often hear our legislators say that they just want to improve the quality of education in Wyoming. If that’s true, the research is clear. We have to do more than just focus on the in-school factors. Sen. Rothfuss is right. It’s time we begin to consider evaluating performance from a 360 degree perspective. But, we need to put the child in the center of that data collection circle, rather than just the teacher.